Discover more about private investigators capability, employment and regulations in Jefferson City. ICS provides superior private investigations throughout Missouri and Jefferson City. Contact ICS today to begin your free consultation online or by calling Toll Free (800) 828-9198. When you hire a private investigator from ICS, you will be assigned an investigator that has met all of the Missouri State licensing requirements, and who is highly experienced at conducting confidential and timely investigations. ICS has private investigators who are highly experienced and come from a variety of investigative backgrounds. ICS conducts private investigations across the state in Columbia, St. Louis, Kansas City, jefferson-city, Springfield, Ladue, Town and Country, Baker, Huntleigh, Country Life Acres, Westwood, Wildwood, Florissant, and more. ICS conducts investigations in Jefferson City and accepts most case types. Call ICS when you need a professional and confidential private investigator near Jefferson City. Do you need to catch a cheating spouse or partner, locate a missing or lost person, find a birth parent, or collect evidence for a child custody, visitation, or support trial? Need to investigate a cold case, determine bankruptcy due diligence, or validate a workman’s compensation claim? As licensed Missouri private investigators, we can obtain information that civilians do not have access to, which means you have better odds of finding the information you need when you hire a PI in Missouri. ICS follows evidence collection protocols so any evidence collected will be admissible in court. Our private investigators are available 24 hours a day, seven days a week, including holidays. Contact ICS by completing the online consultation form, or for urgent cases, call Toll Free at (800) 828-9198. In addition to the investigations we offer and cases we solve, ICS also provides a variety of services that are centrally managed out of our corporate office. Some of the most common services ICS offers are background checks, finger printing, pre-employment screening, financial tracking, and income verification. Centrally managed services include Technical Surveillance Countermeasures (TSCM), and computer and cellular forensics. This is only a brief list of our most common case types and services; if you do not see your case type or service listed here, please visit the “Investigations We Solve” or “Services we Offer” pages for a more comprehensive listing. Begin your investigation with a free consultation today. ICS can provide Process Service anywhere in the state of Missouri. Process Serving in Jefferson City requires you to meet the appropriate requirements and pass a training course issued by the Sheriff of the City of St. Louis. 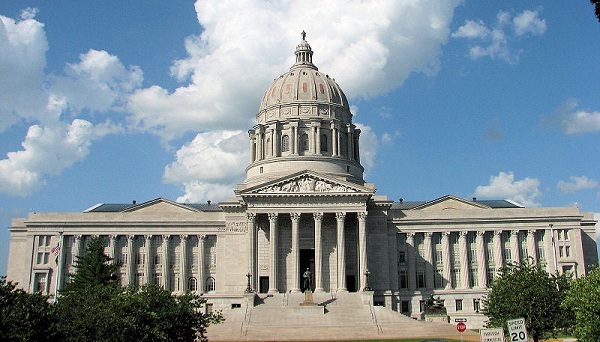 All process servers in Jefferson City must have E&O coverage with limits of at least $100,000. If you need to serve someone in Jefferson City the investigators at ICS can help. Do you need GPS tracking services performed on an individual in the state of Missouri? Are you in Jefferson City and need GPS tracking services performed elsewhere? ICS can provide this service and other surveillance services throughout Jefferson City. GPS tracking can be used for several reasons such as tracking employee’s travel patterns, finding out where a spouse is going late at night, or making sure your children are where they say they are. If you need GPS tracking services on a vehicle in Jefferson City then contact the professionals at ICS today. All Columbia MO investigations are performed by an experienced ICS Investigator. Please feel comfortable contacting ICS when you need a professional and confidential private investigator near Columbia Missouri. We are here to help when you need to catch a cheating spouse or partner, locate a missing or lost person, find a birth-parent, or collect evidence for a child custody, visitation, or support trial. We also investigate cold cases, determine bankruptcy due diligence, and validate workman’s compensations claim. ICS private investigators have access to information that civilians do not have access to, which means we can improve the odds of finding the information you need, and our evidence is admissible in court. Our private investigators are standing by, ready to serve you 24 hours a day, seven days a week, including holidays.